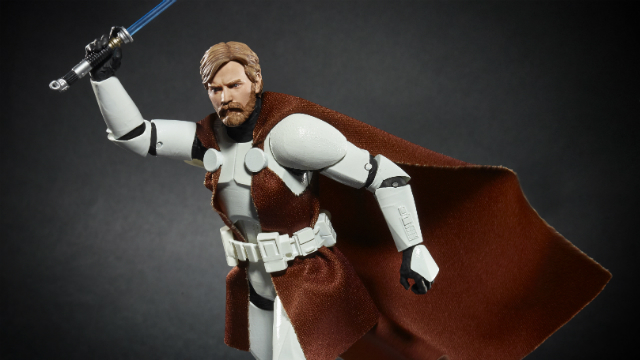 As exciting as the new Star Wars: Episode IX trailer drop was at Celebration this weekend, the Hasbro toy panel was filled with equally exciting news for collectors. 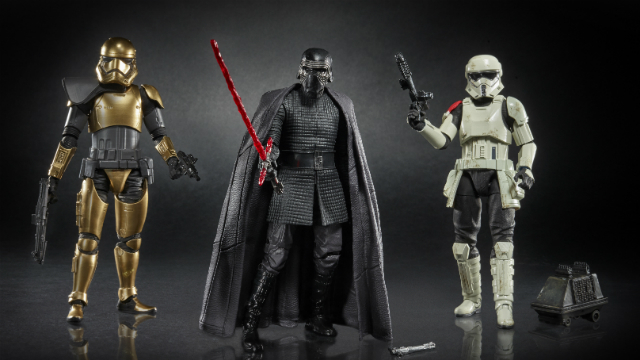 Focusing primarily on retailer and convention Star Wars exclusive figures that are coming soon, the reveals offer gems for every era of Star Wars fan. 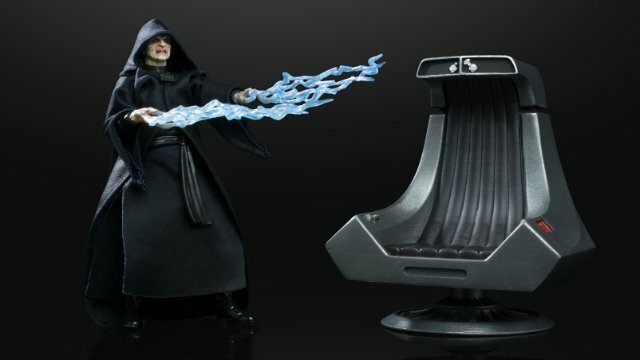 To tie in with the big reveal that Emperor Palpatine is returning to the saga, a deluxe Black Series Emperor with chair will be an Amazon exclusive. Although it’s based on his Return of the Jedi appearance, he also comes with alternate Darth Sidious heads from Episode III. And switch-out Force lightning hands, of course. Years ago, as Leia said in A New Hope, General Kenobi served her father in the Clone Wars. 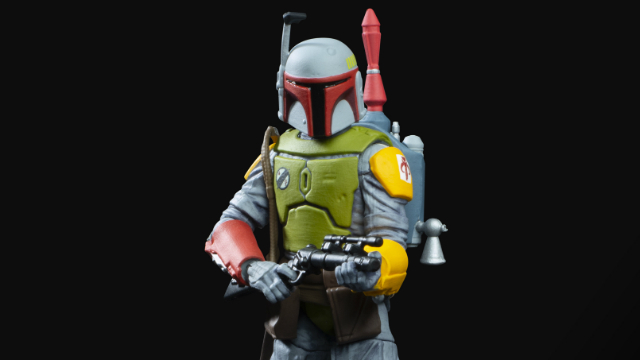 Now you’ll beg to get this figure of him as he appeared then. 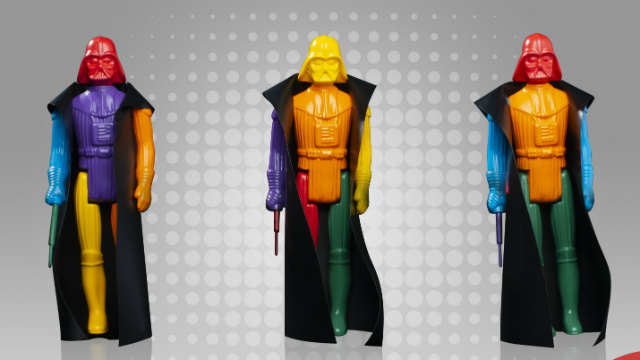 You’ll find the 6-inch Jedi master at Walgreens. 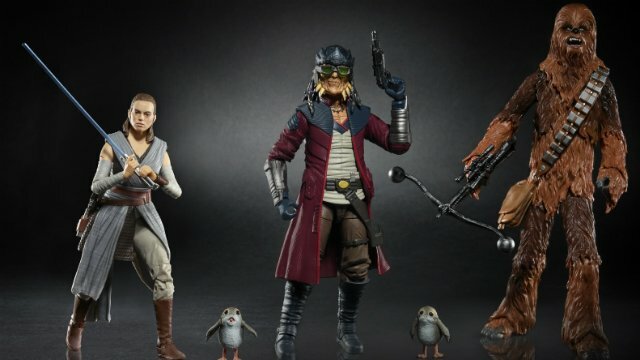 Perhaps the biggest reveals, however, were the three 6-inch scale multipacks to be sold at the new Disney Parks’ Star Wars: Galaxy’s Edge, opening this summer. In keeping with the in-universe, immersive experience, the boxes don’t have Disney or Star Wars logos on the outside. 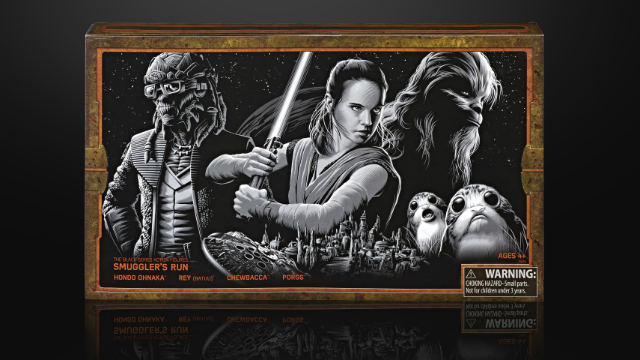 A set based on the Millennium Falcon ride includes repaints of The Last Jedi Rey, Chewbacca, Porgs, and an all-new Hondo Ohnaka. Hondo is based on his animatronic that appears in the ride itself. 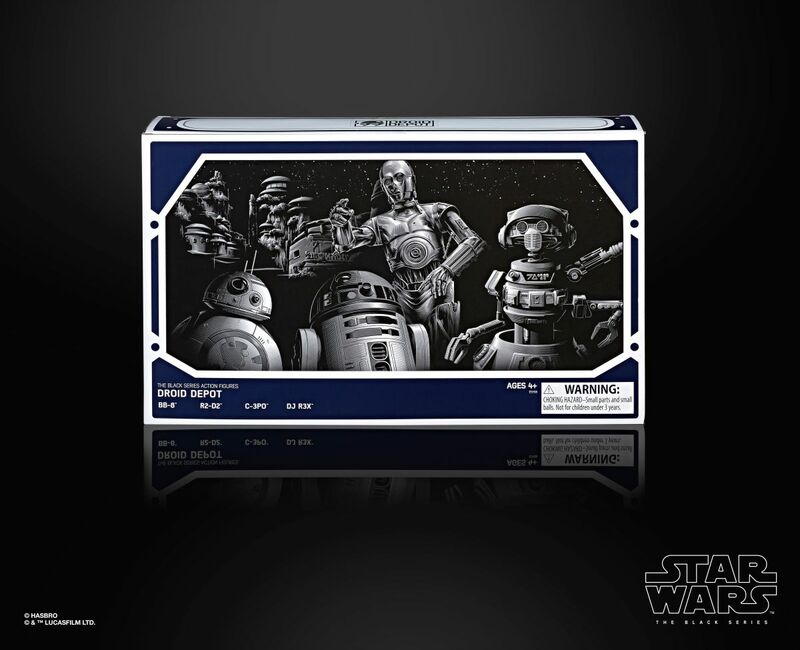 For the Droid Depot store, Artoo, Threepio, and BB-8 come with O.G. Star Tours pilot Rex, now a cantina DJ. 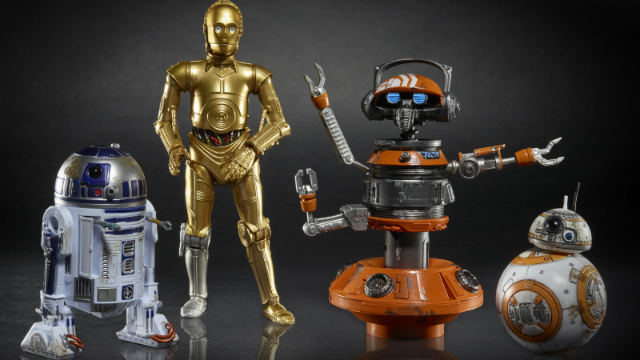 Threepio will feature the new, improved protocol droid articulation as seen on 4-LOM. There’s no word on pricing yet, but expect them to more in line with theme park prices than Walmart. Which are you most excited to acquire? If you can’t make it to the theme parks, is it time to start finding friends who can? Let us know in comments.